Our entry dated November 3, 2017 discussed Lavern’s Law, which would enhance the Statute of Limitations for medical malpractice cases concerning a failure to diagnose cancer. We are happy to report that Governor Cuomo signed this legislation on January 31, 2018, thereby making it official. As a refresher, Lavern’s Law is named after Lavern Wilkinson, a patient at a municipal hospital. Ms. Wilkinson presented with symptoms which resulted in her undergoing a chest x-ray, at which time a mass went undiagnosed. A couple of years later, she returned to the hospital with increased symptoms, and she was diagnosed with lung cancer after a new chest x-ray. That cancer was fatal, and she died at age 41. Had that mass been properly diagnosed at the time of the original x-ray, Ms. Wilkinson may have survived. Lavern’s Law is what is known as a “Discovery” statute, meaning that the Statute of Limitations – the time limit to file a lawsuit – will run from the time that the undiagnosed medical condition was or should have been discovered, and not the time of the original misdiagnosis. In Ms. Wilkinson’s case, by the time that she became aware of her actual lung cancer condition, the Statute of Limitations had already passed. The time for Ms. Wilkinson to have brought a lawsuit started when the malpractice was committed. The problem, of course, is that she had no way of knowing of that misdiagnosis at that time. The Statute of Limitations in a medical (or dental or podiatric) malpractice suit is two years and six months, which is shorter than the three year Statute of Limitations for general personal injury cases. This shorter time period is even more limited in cases involving a municipal hospital; in that instance, the time limit is one year and ninety days, and a Notice of Claim must be filed within ninety days of the malpractice. Since Ms. Wilkinson had been treated at a municipal hospital, her Statute fell into this shorter time period. Our column of December 1, 2017 discussed typical defenses in malpractice cases. One such defense is the argument that even if there was a departure from an accepted standard of care, the failure to diagnose was not a proximate cause of the injury – that is, that even if the doctor had properly diagnosed the condition, it was in such an advanced stage that the outcome would not have been any different. Another such defense is that the patient’s injury was an accepted risk of a certain procedure. Defendant doctors and hospitals will still be able to defend themselves as before using all of the typical arguments in failure to diagnose cases. Lavern’s Law is limited to instances of a failure to diagnose cancer, or a malignant tumor; it does not apply to a failure to diagnose a non-cancerous medical condition. Even so, the passage of Lavern’s Law is a victory for victims of malpractice. 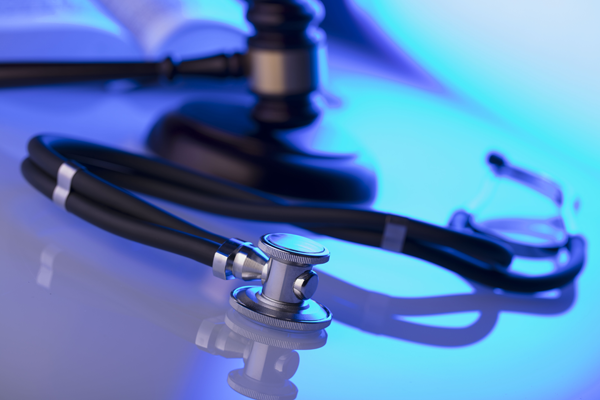 Are You or a Loved One a Victim of Medical Malpractice? The New York State Trial Lawyers Association (NYSTLA) worked tirelessly for the passage of this important legislation. The White Plains accident and malpractice attorneys at Worby Vecchio Edelman support NYSTLA, and its ongoing efforts to help protect New Yorkers’ abilities to seek redress for damages caused by malpractice or negligence. Call us if you or a loved one have been injured in any type of accident, or by what you believe is medical malpractice. We’ll review your specific situation, answer all of your questions, and give you our opinion as to whether you do or do not have a case. The consultation is free, and there’s no obligation. We don’t charge a fee unless we recover money on your case.